Was Brandon Lewis trying to mislead over the extent of Islamophobia in the Party when he said there were no outstanding complaints - or are his systems just completely broken? We’ve been warning for a while about the problem of Islamophobia in the Conservative Party. I was especially incensed by Boris Johnson’s disgraceful comments mocking Muslim women last year. Our State of Hate report last month highlighted alarming views about Islam amongst Conservative voters – with nearly half feeling Islam was a threat to the British way of life and a similar number believing in the false conspiracy of Muslim-run ‘no-go’ zones’ – coming at a time of rising hate crimes directed towards Muslims (and particularly Muslim women). I don’t have to remind you about the far-right terror threat, either, with 50 Muslims lying dead after a murderous rampage by a white supremacist in New Zealand last week. Last year, while we were campaigning for the Conservatives to properly investigate Johnson’s comments, the chair of the party, Brandon Lewis tweeted at us that: “We deal with complaints, none outstanding”. It is now clear that this was untrue. There have been multiple media reports showing that there were outstanding complaints, that were being investigated or should have been. This is really serious. I have written to Brandon Lewis to formally ask him for an explanation. In my letter, I’ve asked Brandon Lewis for clarification of his statement. In fact, there appear to be a significant number of ongoing incidents that were made to Lewis or his staff before he made his “none outstanding” claim to us, which were not resolved by the time he made his comment to HOPE not hate. These incidents include complaints to his office from members of Portsmouth South that “minority ethnic members were being bullied, racially abused and cut out of communications to ensure they were not chosen to represent the party”, as reported in The Guardian on 7 March. They include a complaint from a Conservative Party member that another member had said: “I’m not working with that Muslim”, as reported by Buzzfeed News on 11 March. 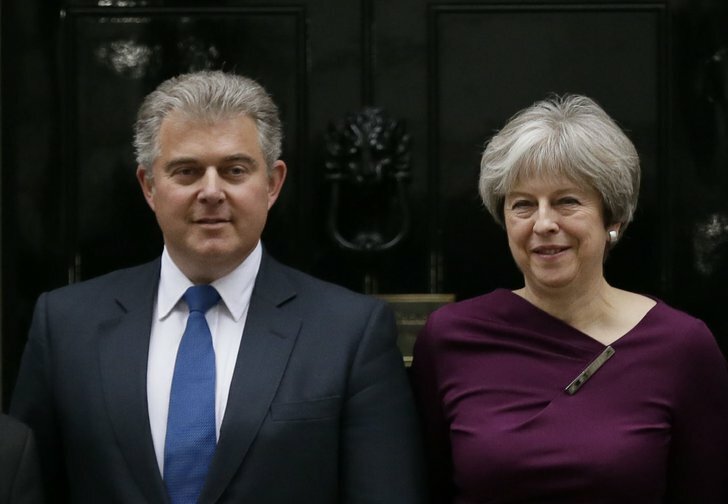 They include a complaint to Brandon Lewis about a member in the northeast who had talked on social media about “aggressive muzzies” who he claimed were praying in public to “provoke a reaction”, as reported by HuffPost on 1 March. Given the seriousness of the problem that the Conservative Party is facing with incidents of Islamophobia by its members, as well as widespread concern about the behaviour of both Boris Johnson MP and Zac Goldsmith MP (the latter during his campaign against Sadiq Khan to become London Mayor) it is essential that Mr Lewis clears up exactly why he told us that there were no outstanding complaints when clearly there were. Was he trying to mislead us, and via the statement, members of the public? Or were his systems and processes so broken that he simply did not know that his statement was untrue when he made it? We’ve extended our team’s resources to help the Conservative Party HQ improve its processes to identify Islamophobia and to challenge it more systematically throughout the party. Either way, it appears clear that the time for a proper, independent inquiry into the Conservative Party’s problems with Islamophobia is now. In fact, all parties must ruthlessly tackle racism within their ranks. It is depressing that both Labour and Conservatives have failed to do so. Both must do much more, including expelling – not suspending – members who engage in antisemitism or Islamophobia.